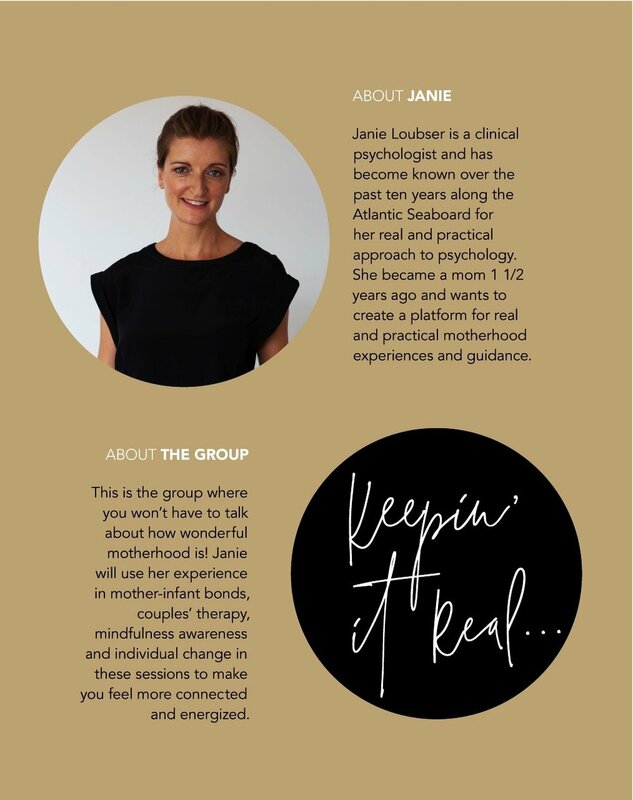 By taking 6 hours out of the first year of motherhood and at 1/3 of the price of individual therapy moms can get • clarity • guidance • emotional stability • support from each other • and an overall feeling of control and wellbeing. Limited seats available — Book now! Please indicate whether you would like to attend the full 6 weeks or only drop in sessions on an ad hoc basis. I will respond to your email shortly.